On behalf of someone close to your heart, make a birthday wish close to heaven. Send your love with this gift package at a budget-friendly price of only $98. 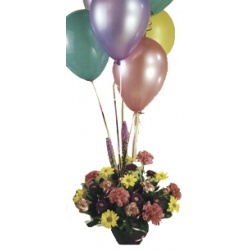 It includes only the freshest assorted flowers of premium quality, like carnations and mums, arranged with 5 assorted balloons. Carnations signify fascination, love, and devotion while mums symbolize hope. This gift package is ideal for Birthdays, Spring, and occasions for Bears and Balloons. Liliums are symbols of wealth and majesty, innocence and purity. For occasions celebrating the beginning or renewal of good fortune, send your warmest wishes with this gift package at a budget-friendly price of only $78. It is a striking bouquet of only the freshest 6 stems of liliums of superior quality, wrapped elegantly. 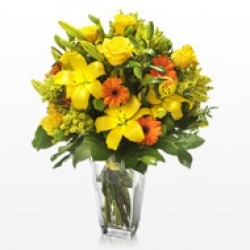 This gift package is ideal for occasions for Floral Bouquets, Spring, and Mother?s Day. When everyday you feel like you're walking into a sea and under a downpour of captivating flowers, it's easy to see why we all welcome the arrival of spring. 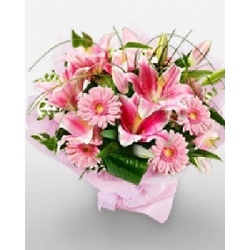 For an affordable price of only 78, this gift package is an eye-catching bouquet of only the freshest, select-quality liliums for purity, gerbera for cheerfulness, and mums for hope, wrapped elegantly. 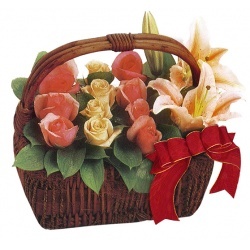 This gift package is ideal for Spring and occasions for Floral Bouquets. Few things compare to how the blossoming beauty and hopeful freshness of spring can really raise our spirits. Celebrate the season with this gift package at a pocket-friendly price of only 88. It consists of only the freshest, select-quality assorted flowers like gerbera that stand for hope, stargazer for love, courage, and repsect, and gerbera for cheerfulness. This gift package is ideal for Spring. Thank heavens for spring, every year we can count on life to turn over a new leaf and blossom to something more beautiful. Priced affordably at only $98, this gift package consists of only the freshest assorted flowers of premium quality, like carnations that signify fascination, love, and devotion, mums for hope, and anthuriums that symbolize the heart. Hope springs eternal from flowers that usher in this exhilirating season with verve and vivacity. Priced reasonably at only $118, this gift package includes only the freshest, select-quality assorted flowers like calla lilies that stand for beauty, liliums for purity and modesty, carnations for fascination and devotion, and orchids for magnificence and refinement. 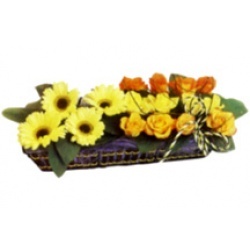 This gift package is ideal for Spring and occasions for Sympathy. 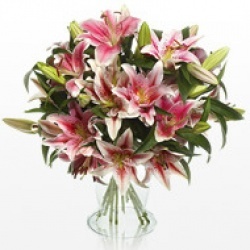 Consist of 6 stems liliums arranged naturally in a vase. Perfect for all occasions. An arrangement of 20 carnations in a basket. Color will depend on its availability. 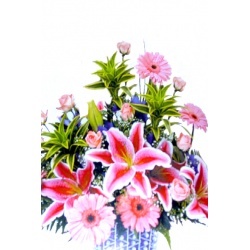 Consist of gerbera,roses, lilies, anthuriums and orchids grouped elegantly in a basket. Perfect for all occasions.